These are the final three contestants for my upcoming presentation to our local women's league. I was asked several weeks ago to come share some creative holiday ideas. I have changed my mind 3000 times... finally narrowed it down! The melted snowman is a white chocolate mouse trifle... kind of a play on the theme of snowmen and getting the "ball rolling"... I like to choose a theme it helps me focus on one idea. 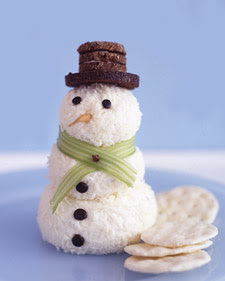 Second is the cheese ball snowman, to prove that just because it's a cheese ball doesn't mean it has to be boring and plain.... dress him up! 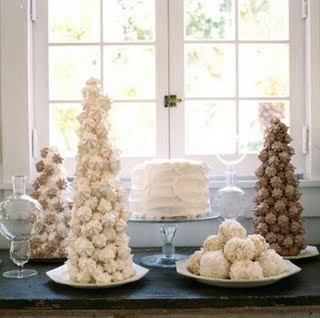 (I think it will be cute to serve him with those cute little Ritz crackers that are snowflakes....) and last the "croquembouche" ... well mine will be far from the traditional french pastry topiary... I am using powder doughnuts, strawberries for color and ivy vines for decor. (I saw this on an episode of Katie Brown's workshop on PBS.) I'm such a copy cat. But oh well.... I try to put my own touch to things! I think it will be fun to have this be a hands on project. It also is a great way to decorate for any party. The picture above is just a sortof idea of what it is... not what I'm making. 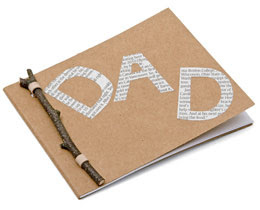 And last, I found this cute idea in Family Fun for putting books together with a stick... I think I will share my ideas and recipes this way (obviously without the DAD... and with something snowman-ish / or not!). I just thought the stick idea... with snowman theme was cute and simple. Next Tuesday Night ... wish you could all come. me too!!! I love seeing what you come up with. You are seriously amazing. wish I could come too! !